Feb - 27 | By: Alise Munson | no comments. 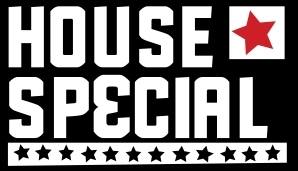 As a HouseSpecial animator, you will create the performance of computer graphics characters and objects within a shot, using animation software tools such as Maya to convey emotion, movement action and personality. Our teams move fast; we never compromise on creativity. Ability to plan out shots using thumbnail drawings or other forms of thought out planning. Can block in rough animation with strong clear posing, acting, timing & appeal for Director, and/or Supervisor, approval within a reasonable amount of time. Implement Director, Supervisor and/or Client feedback to the highest possible quality of animation. Can meet animation deadlines as established by production management. Maintain a consistent level of productivity while meeting deadlines and producing high quality work. Be consistently present in dailies, shot turn overs and other related meetings. Animate props and effects, if needed. Actively safeguards HouseSpecial’s Proprietary and Confidential Information. 3+ years of experience as a CG Character Animator in a fast-paced environment such as commercial, film or game production. Strong understanding of traditional animation principles. High level of expertise in Maya. Ability to bring characters to life. A firm understanding of an animation pipeline. Fluent in other CG skills is a plus. Bachelor’s degree in Animation, Film, Fine Art or Computer Science or other relevant area of study and/or equivalent job experiences. Open to taking direction and able to embrace change. Strong attention to detail, communication skills, a great attitude and common sense. The above statements are intended to describe the general nature of work being performed by in a CG Animator role and do not comprise the definitive list of all responsibilities, duties and skills required.